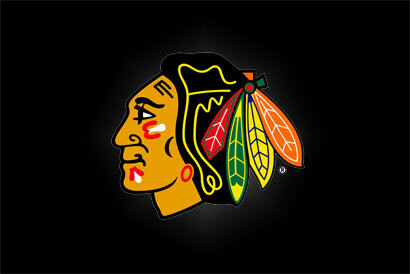 Rochester, NY- The Hogs dropped a 4-1 contest to the Rochester Americans in their first meeting in five years. 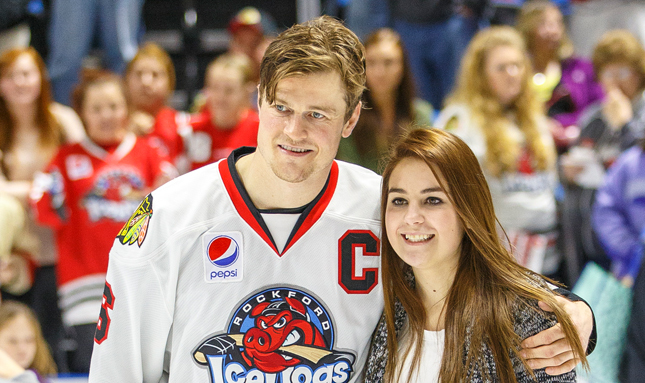 Let the IceHogs give your Valentine something special! 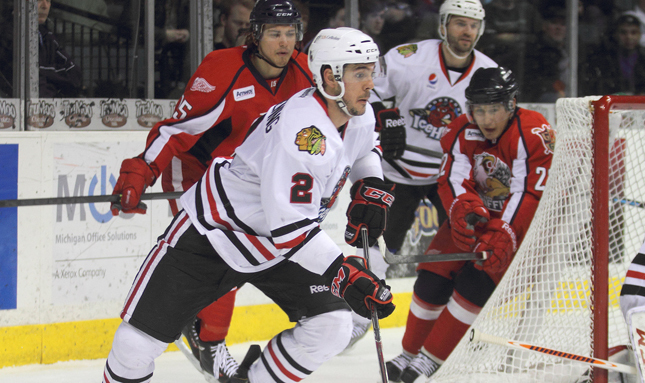 Rockford, Ill. – After three games away from home, the Rockford IceHogs return to the BMO Harris Bank Center to face off against the Hamilton Bulldogs on Tuesday, Feb., 4 at 7 p.m.
Rockford, Ill. - The Rockford IceHogs talk about the teams recent bounce back to take four points against Milwaukee and heading east for the weekend. 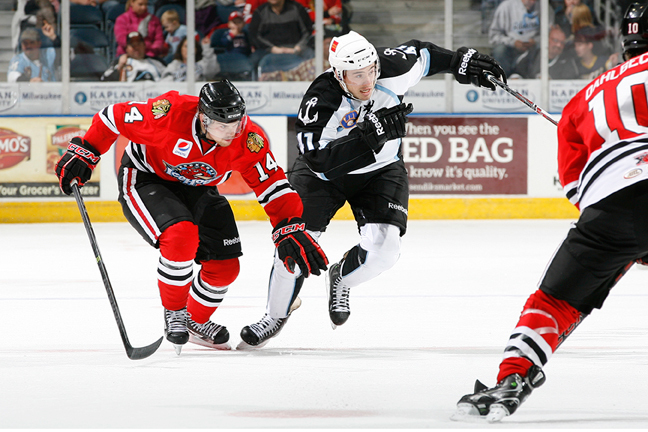 Rockford, Ill. - The IceHogs take two of their three game set with the Milwaukee Admirals this weekend. 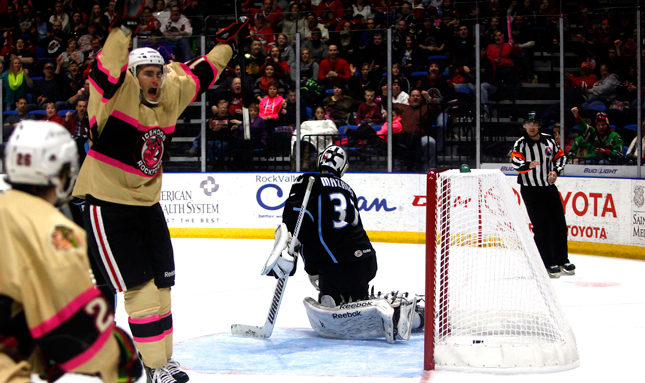 Catch all the audio highlights here. Chicago, Ill. - The Blackhawks announced Monday that they have recalled forward Brandon Pirri from the Rockford IceHogs. 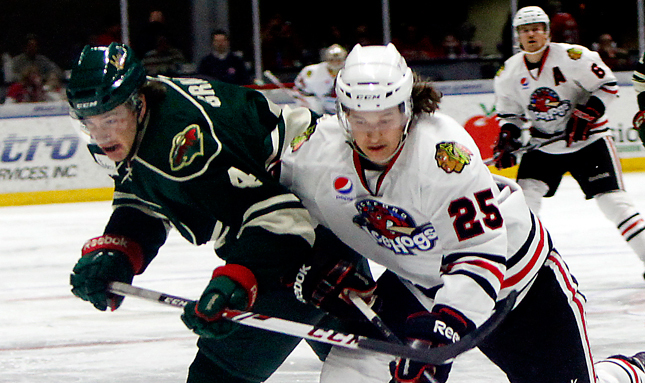 Milwaukee, Wis. – Rockford tops Milwaukee 4-3 in overtime on Sunday. 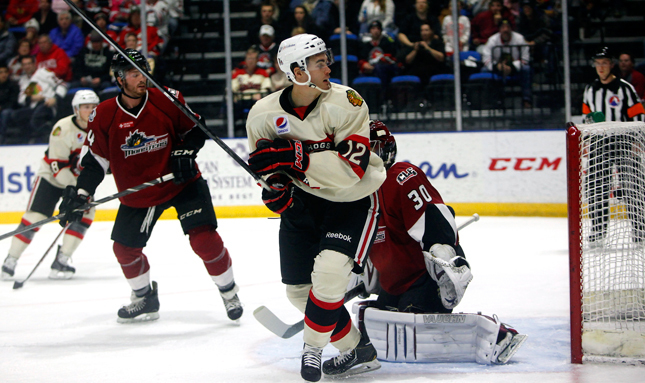 Rockford, Ill.- The Hogs squeaked out a 2-1 win over the Milwaukee Admirals on Saturday in front of a sold out crowd of 6,504. 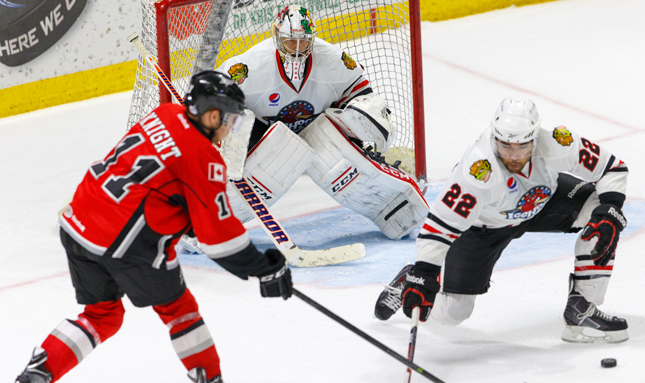 Milwaukee, Wis.- The biggest nemesis for the Rockford IceHogs on Friday in their 3-2 loss to the Milwaukee Admirals seemed to be themselves. 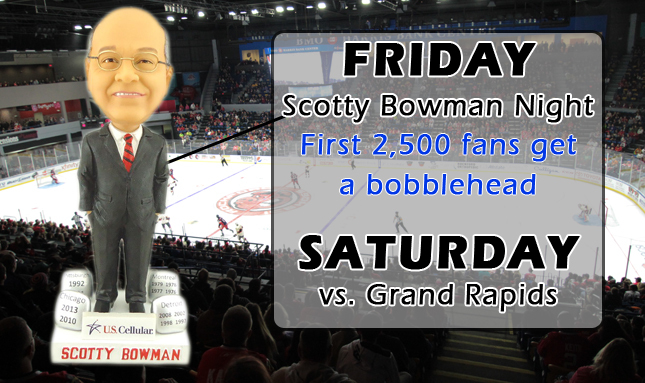 Limited numbers of tickets remain for Saturday’s game. 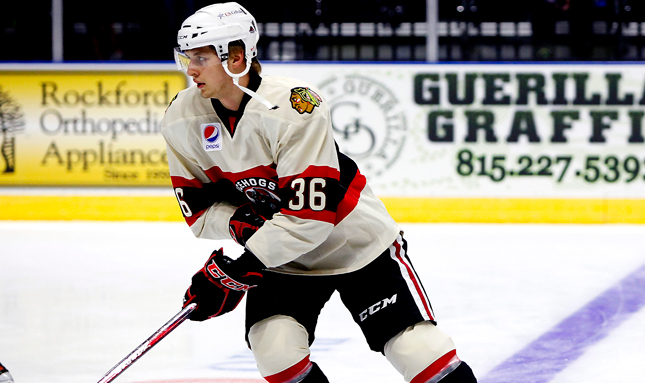 Recent acquisition Zach Miskovic and the upcoming three in three with the Milwaukee Admirals highlight Wednesdays IceHogs media day. 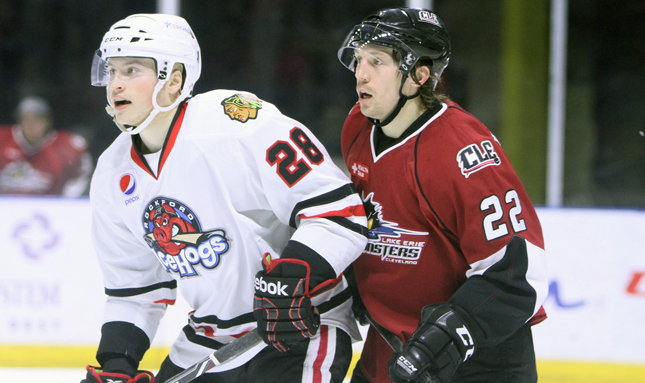 The Hogs drop three contests in week 16. 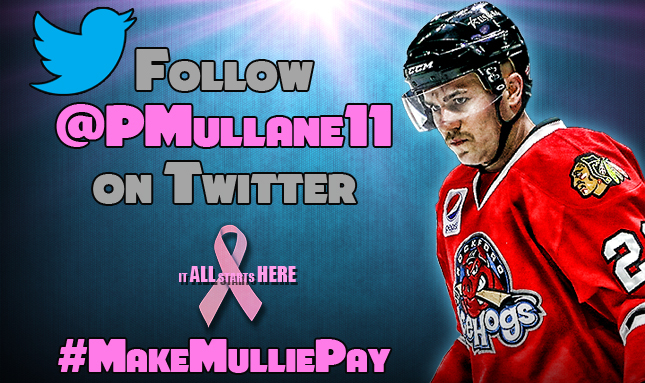 Catch all the audio highlights here. 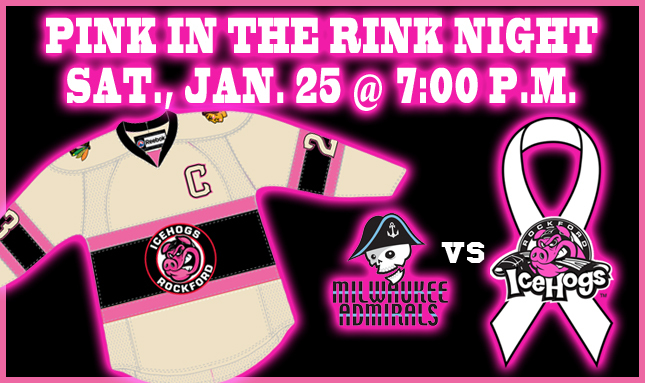 Rockford, Ill.- Rockford picks up a point in light two game week and set for busy four-game Week 17. 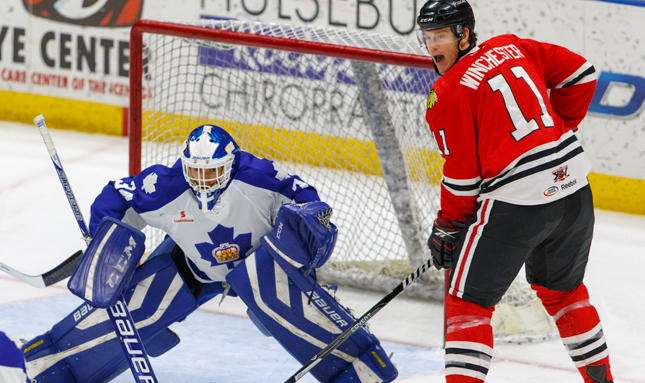 Rosemont, Ill.- If you believe in precursors, the Rockford IceHogs didn't have a chance on Saturday night in Rosemont against the Chicago Wolves. 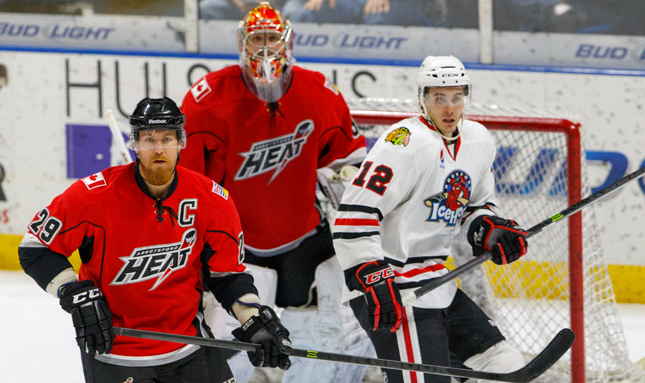 Annual Martin Luther King Jr. Day game starts at 1 p.m. 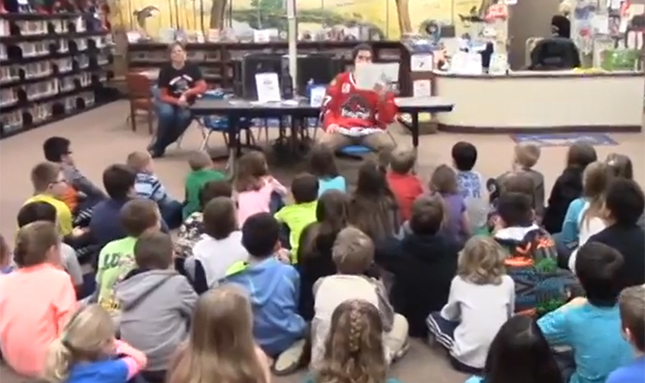 In honor of January 15th's School Day game, we put the some of the IceHogs through a spelling bee. 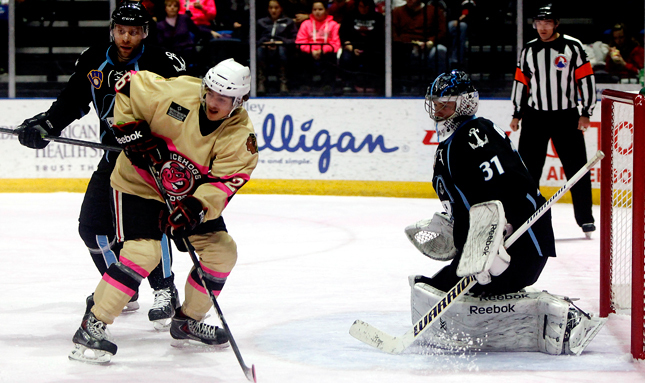 Hogs squander a two goal lead and lose in overtime 4-3. 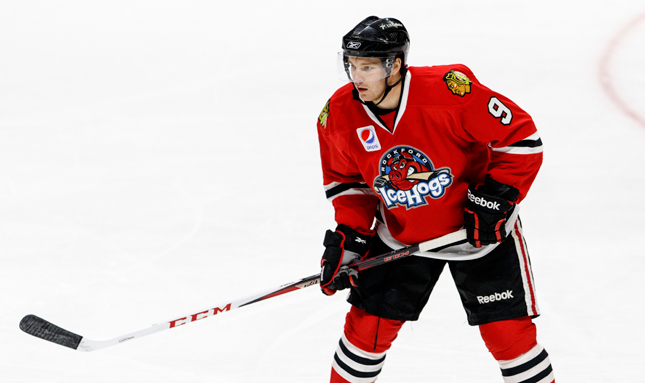 IceHogs Head Coach Ted Dent talks about naming Jared Nightingale team captain. 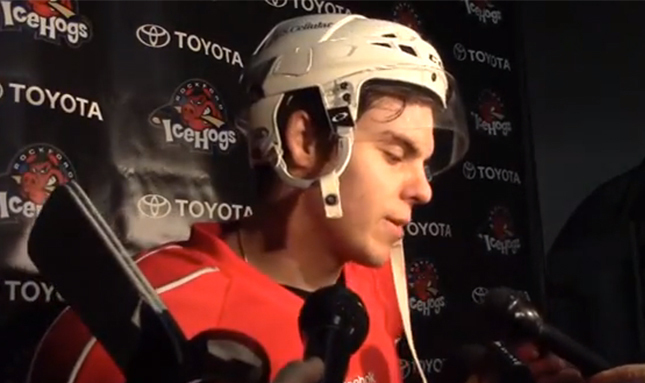 Nightingale and Morin also give their takes on the topic and the team moving forward. 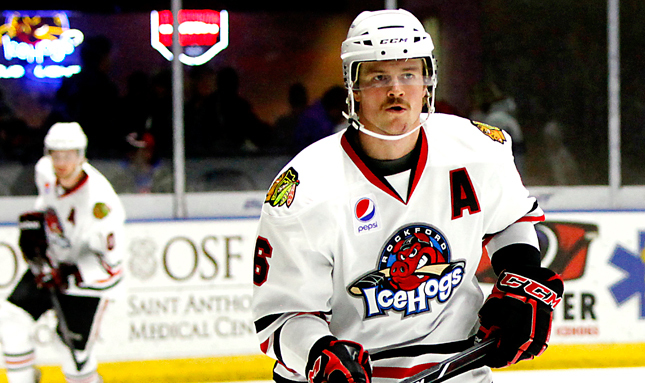 Rockford, Ill.- Rockford IceHogs Head Coach Ted Dent has named defenseman Jared Nightingale the eighth captain in team history, he announced on Tuesday. 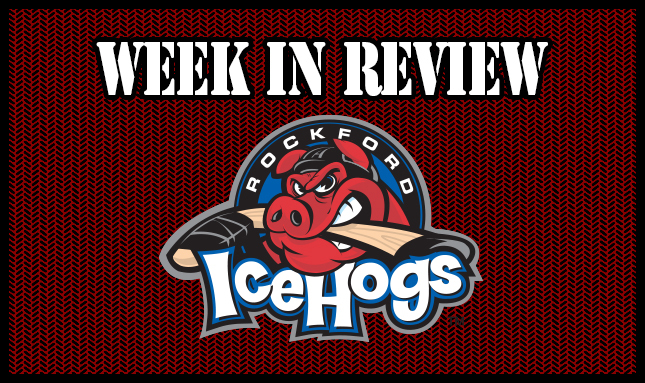 Rockford takes 4 of 6 points in week 15 and return to Bud Light Hog Talk for the first time since December 16th. Catch all the audio here. 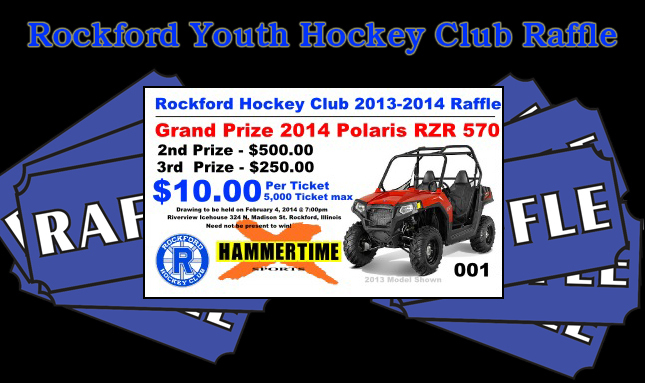 Rockford’s special team pace them to the win. 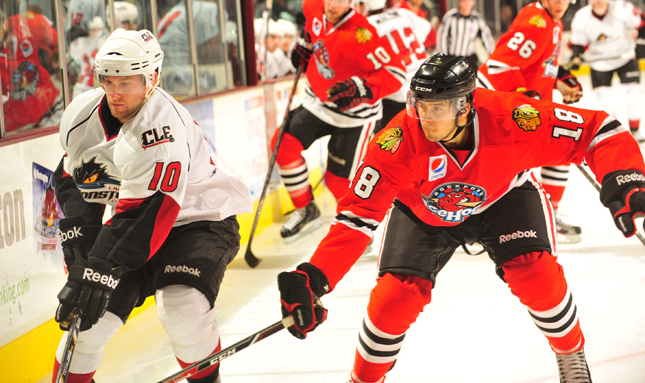 IceHogs drop Lake Erie 4-3 after breaking tie for the fourth time on the night. 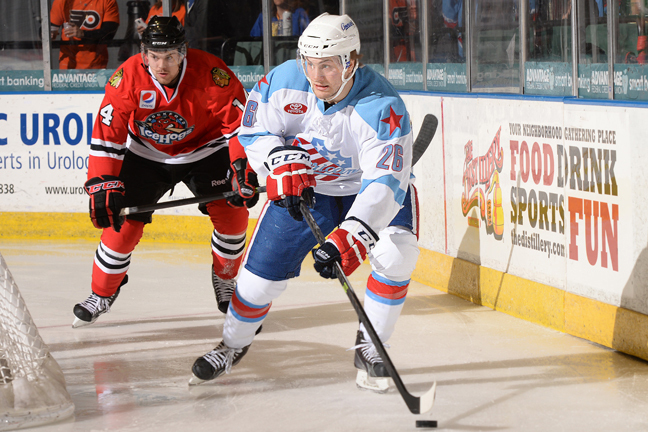 The American Hockey League has announced the 20 players that have been named to the 2014 AHL All-Star roster. 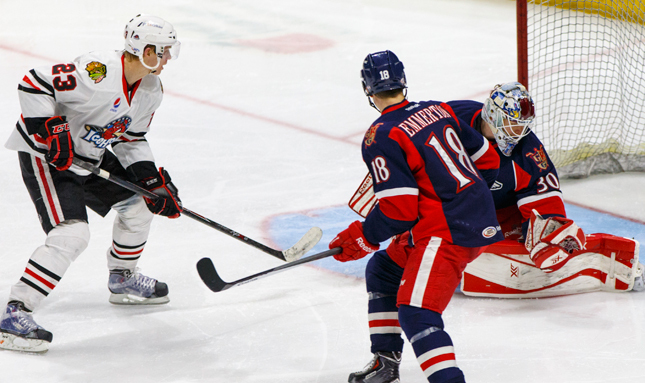 Grand Rapids, Mich.- Three more power play goals allowed lead to a 4-2 loss to the Grand Rapids Griffins on Wednesday night. 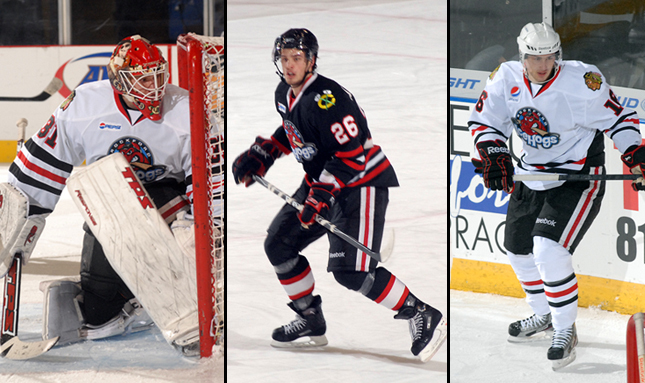 Six former IceHogs players will represent their country in the 2014 Winter Olympics. 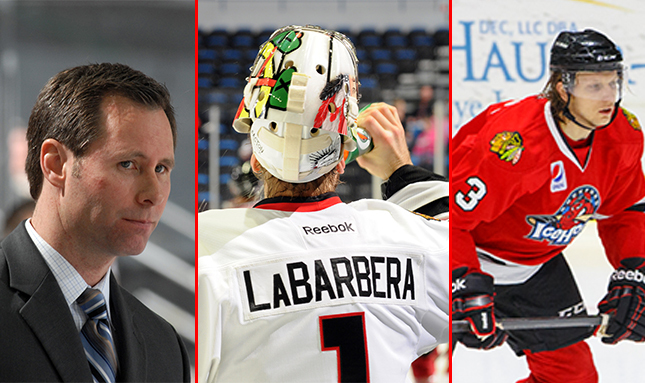 New IceHogs Goaltender Jason LaBarbera discusses his return to the crease in the AHL while he, Joakim Nordsrtom and Ted Dent reflect on the successful weekend. 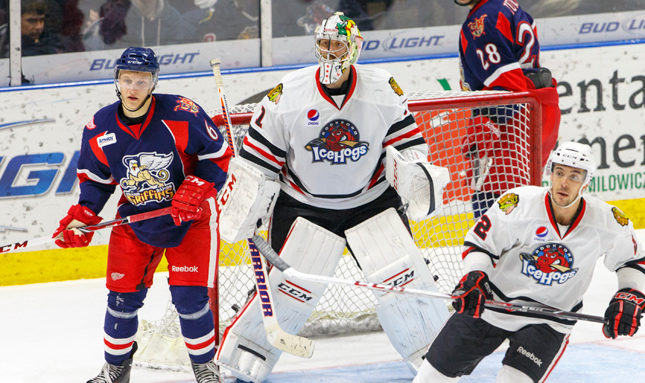 Rosemont, Ill.- After going 109 straight games without a shootout loss, the Rockford IceHogs dropped their second shootout in three games in a 4-3 contest at the Allstate Arena against the Chicago Wolves. 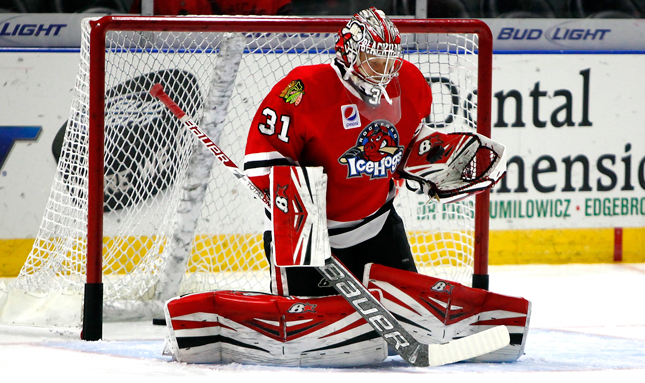 Goaltender Antti Raanta shared the title of top Rookie for the Month for December in the NHL. 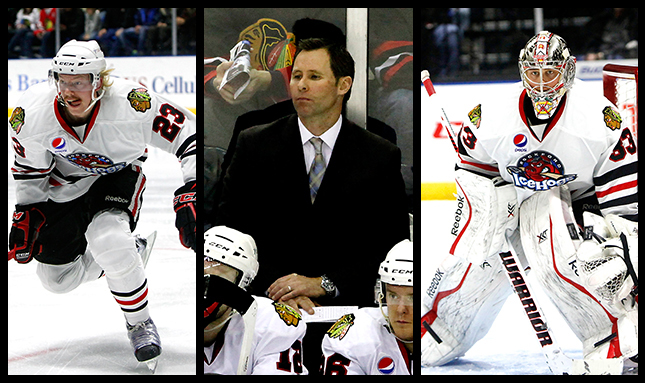 IceHogs Head Coach Ted Dent, Garret Ross, and Mark McNeill look to fix 6 game losing streak by focusing on a three game divisional weekend. 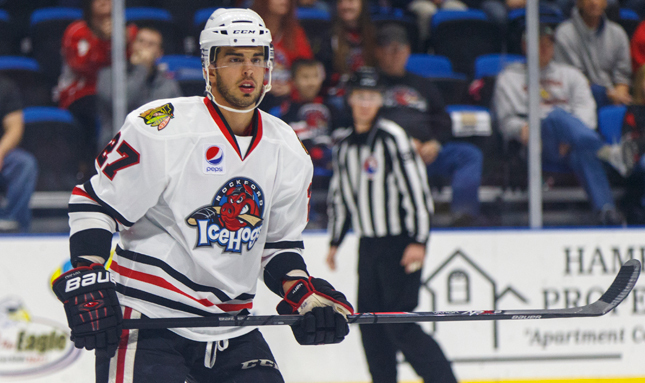 Rockford, Ill.- The IceHogs have recalled Maxim Shalunov and Pat Mullane from the ECHL's Toledo Walleye. 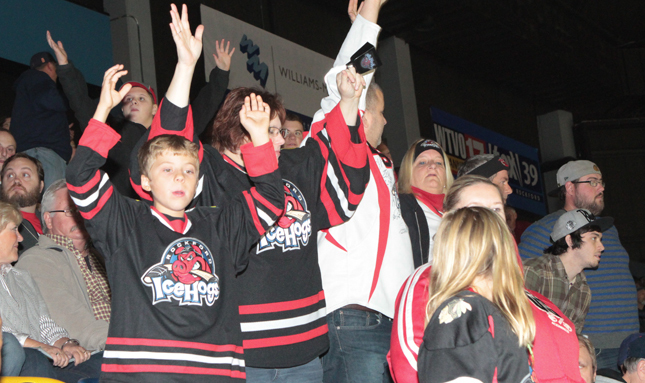 The IceHogs host games at the BMO Harris Bank Center on Friday and Saturday. HAPPY NEW YEAR HOG NATION!